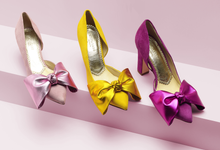 How long does it take in general for your client to receive the final shoes? THESE ARE THE MOST COMFORTABLE HIGH HEEL SHOES YOU'LL EVER WEAR. Our team has combined the knowledge of biomechanical science with footwear expertise to develop a built-in comfort technology that provides unparalleled cushioning when walking in high heels. 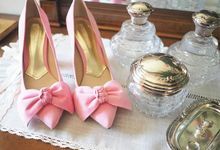 And we are so sure that these are the most comfortable high heel shoes you've ever worn, that we'll ship them to your doorstep free of charge, and we'll take care of any size changes you may need, so that they fit you perfectly! BRIDAL AND OCCASION SHOES WITH BUILT-IN COMFORT TECHNOLOGY | HANDMADE IN SPAIN Our team has combined the knowledge of biomechanical science with footwear expertise to develop a built-in comfort technology that provides unparalleled cushioning when walking in high heels. 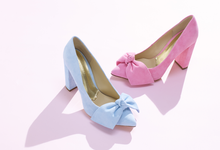 And we are so sure that these are the most comfortable high heel shoes you'll ever wear, that we'll ship them to your doorstep free of charge, and we'll take care of any size changes you may need, so that they fit you perfectly!